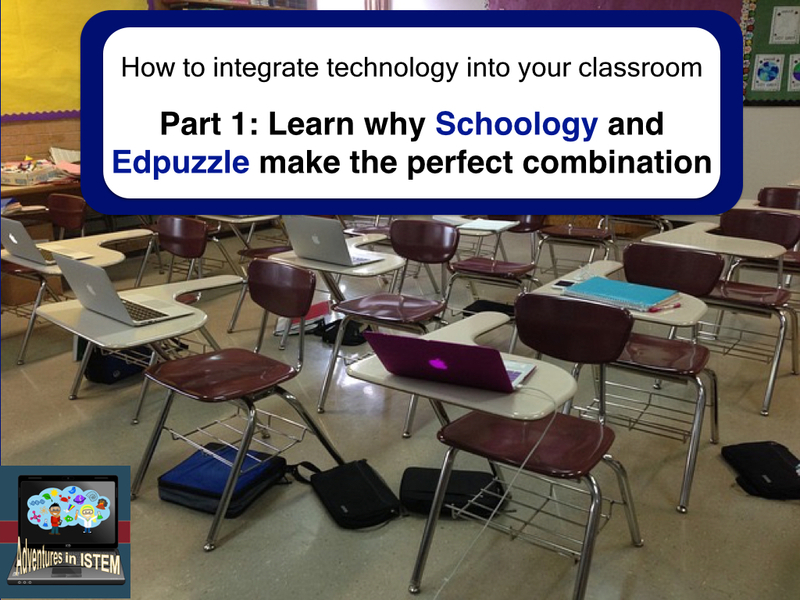 Part 1: How to set up Schoology and Edpuzzle and get them ready for your students. Lets begin with Schoology. If you haven't read my post about why I choose schoology for my LMS you will want to read that first. 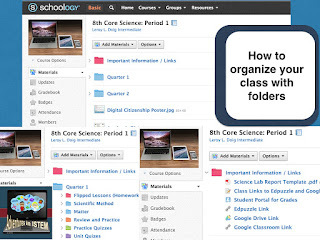 It gives some of the basic features of schoology and why it is so great. 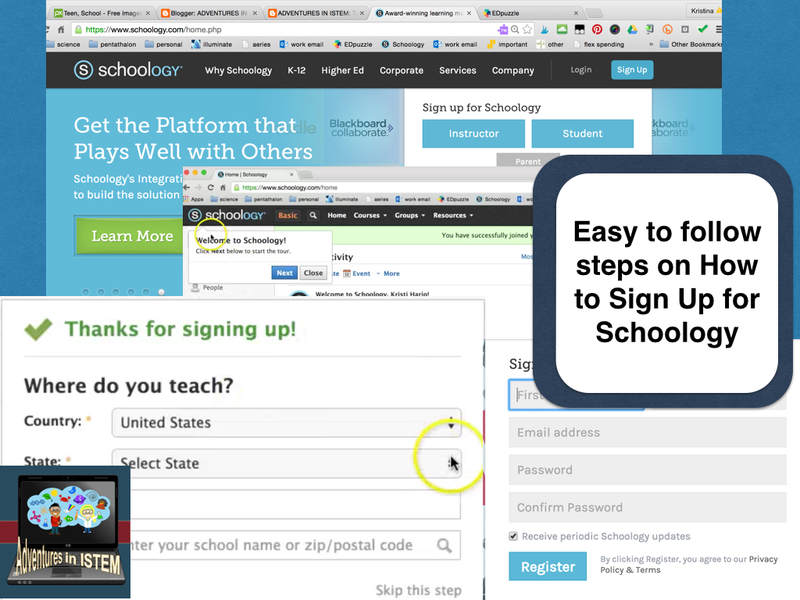 This post will be more about how to sign up for schoology, create your classes, organize your class information, and join the wonderful collaboration groups. 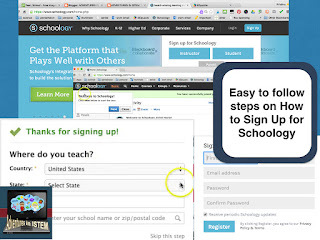 To set up schoology you first need to sign up. Once you sign up you can take the simple tour of the different features it has to offer. After the tour you will want to add your courses. If you are a primary teacher you will only need to add one. If however, you are a secondary teacher you probably teach multiple courses and have different sections of those classes. You can put all your students that are in the same course into one group or you can create sections of the groups. For example, I teach both 8th grade Core Science and 8th Grade Pre-AP science. I created the two groups and then created my different sections within those groups. This way instead of having 90 students in one group I have 36 students in each section of the group. 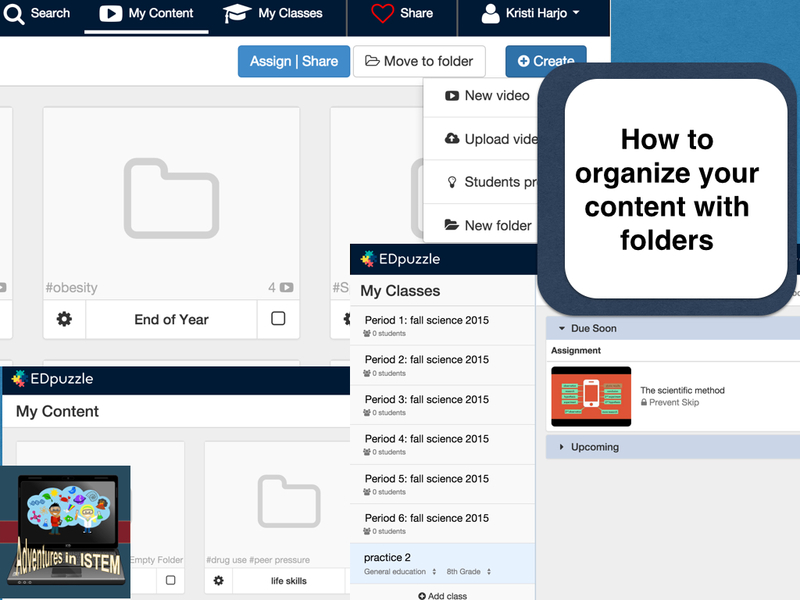 After you have your courses its time to organize the information within the course with folders. To make it easier for students to find information you create folders that will contain the different topics or categories. For example, I have one folder for each quarter. Within my quarter folders I have folders for homework, assignments, unit quizzes, practice quizzes, and review information. You can always go back and create folders later but its easier to set up your folders in the beginning. Next you will want to do is join some of the amazing Schoology educator groups. The educators in the groups are amazing and are willing to help and offer support. When you are ready for your students to sign up you will need to first give them the access code for the class. I usually just project it onto the screen. They will then need to add their name, email, and birthdate. My students have a google account provided to them from the district so I require them to use that email account and password. This way they only have one account and password to memorize. Every student that is under the age of 13 will need to get a parent permission first and then send that permission to schoology. It will take you through the steps for doing that. It is just as an added protection for them to make sure parents know their kids are online. Schoology itself is part of the safe habor framework and is designed for K-12. For a more detailed, visual information you can check out my youtube tutorials on setting up Schoology and how to sign students up. 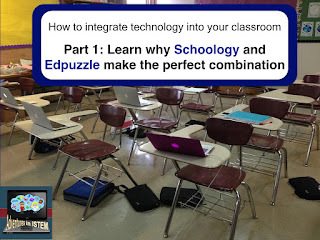 If you plan on flipping your class or you want to use videos as text to help your students learn than the perfect addition to schoology is Edpuzzle. You can read about why I love Edpuzzle as a tool to flip my class in a previous blog. This post will be about how to sign up for Edpuzzle, create your classes, and add your content. Signing up for Edpuzzle is easy since you can sign in with google. Once you sign in you will want to create your classes. Again if you are secondary teacher you can decide if you want all your students in one group or if you want to create separate classes. I like to have separate classes so that it is easier to keep track on how individual classes are doing and which students in each class need extra support. Once you have created your classes its time to add your content. You can either upload your own videos or find ones already created by other members of Edpuzzle. A word of caution, if your district has blocked youtube, like mine has, you will need to upload your own videos. If you choose a video from the bank you will not be able to tell if it comes directly from youtube or if it was first downloaded and then uploaded. For that reason, unless you decide to choose the videos at your school so you can test it, you will need to use a youtube video downloader first to download the youtube video to your desktop and then upload it to Edpuzzle. This takes longer but it works around the problem of having youtube blocked. Students will be able to see your uploaded videos. After you have uploaded your video you can crop the beginning or end, you can create a voice over if you want your students to hear your voice instead of the person on the video, you can add voice comments if you want students to pay close attention to a point in the video, and you can add the questions. The questions feature is great because you can add an open ended question, a multiple choice question which can have multiple answers, and just a comment. The multiple choice questions will be graded automatically and give the students immediate feedback. Once you are done you just save and then its ready to share with your students. 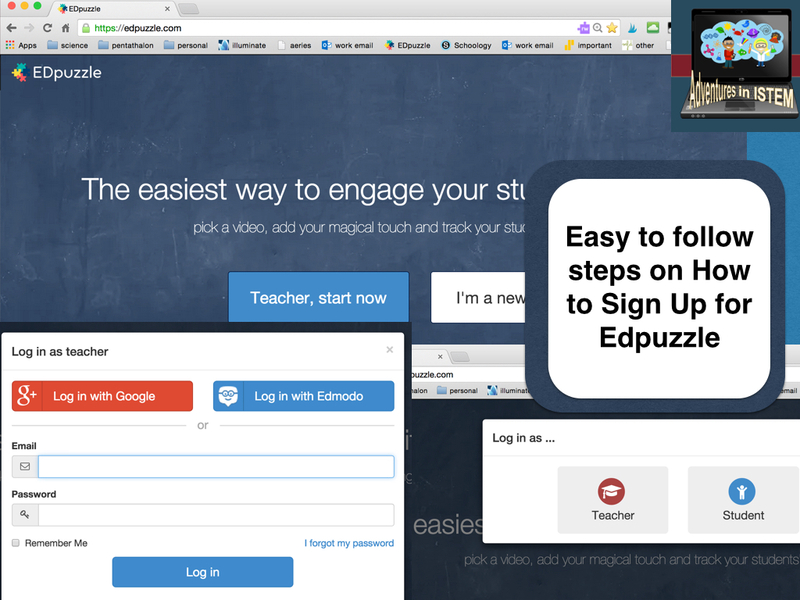 For more information about setting up Edpuzzle you can watch my youtube tutorial. If you have used Schoology or Edpuzzle before leave a comment about what you like about them. Stay tuned next Tuesday for Part 2 in the series.